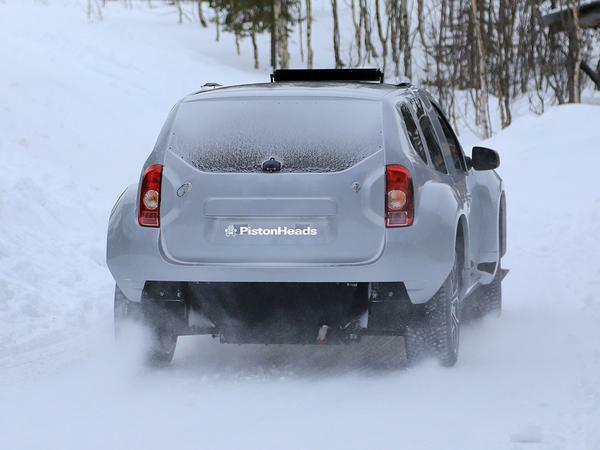 Home > Regulars > PH EV > Dacia Duster Andros Trophy EV spied! 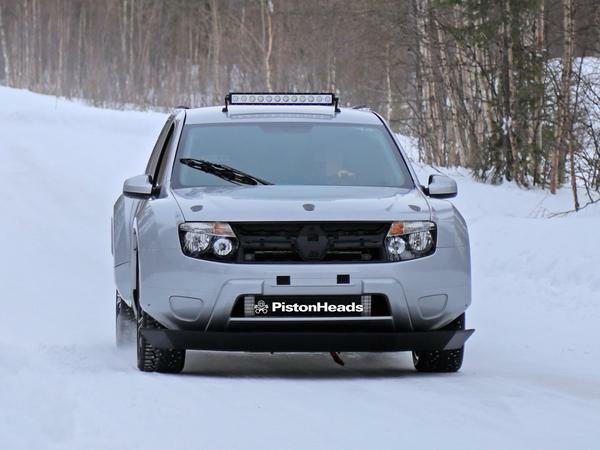 Dacia Duster Andros Trophy EV spied! 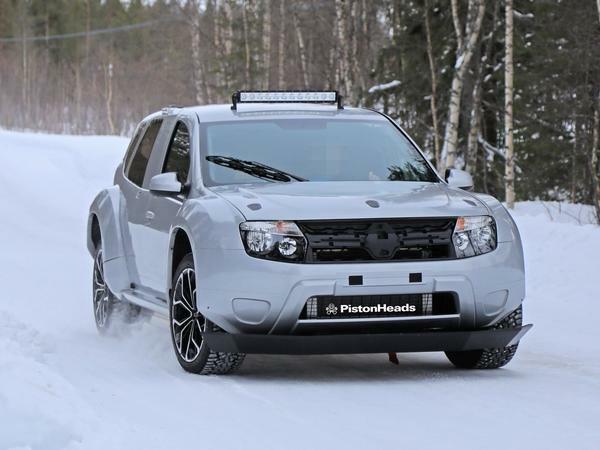 If you want proof that top-level motorsport outside of Formula 1 and the World Endurance Championship plays a significant role in the development of future car tech, look no further than the electric Dacia Duster prototype being prepped for the Andros Trophy. Renault’s budget brand is readying a new twin-motor racer for the championship’s recently expanded top class, where EVs compete side-by-side with combustion engine models. Although it was just four months back that the first EV - a silhouette Audi A1 racer – beat its V6 ICE rivals across the line in France, several of the series’ key players appear convinced of the advantages battery-power provides on the ice. With peak torque available instantly and the limited range provided by electricity of little concern during such short sprint races, EVs look like a natural fit for the Andros Trophy. The Dacia racer might not have much of a soundtrack, but it certainly looks the business. As a silhouetted racer itself the Duster body has been given a heavy dosage of steroids, with its bespoke, detachable rear section and those very muscular wheel arches bearing little resemblance to the road model. There are a set of road alloys, which come wrapped in studded snow tyres, but the coilover suspension behind confirms that its undersides are also completely bespoke – if the flat floor created for the batteries weren’t enough of a giveaway. 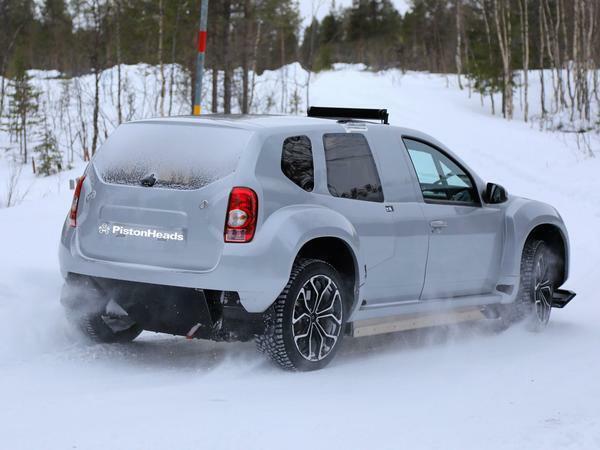 Could Dacia be inspired to produce an ultra-quick version of its roadgoing Duster using the same tech? Probably not. Renault already uses the combustion engine Captur race car in the Andros Trophy and we’re yet to meet a roadgoing version of that. Still, the Dacia’s development does perhaps reaffirm the idea that a future of affordable electric cars might not all be boring. Why do I like that? All it needs is a petrol engine to warm the batteries up. As a series Andros Trophy has so much to offer on paper, mad cars, going sideways, racing on ice, yet somehow it manages to be utterly crap to watch. I'm struggling to see what this shares with a Duster other than a set of alloys, light clusters, doors and possibly glass. I've never understood sillouhettes, I get the marketing angle but surely you'd get even more press if you let your designers put something completely bonkers and unique together given that they're mostly unique body panels anyway. Thread of the Week: Electric cars - still lovable?